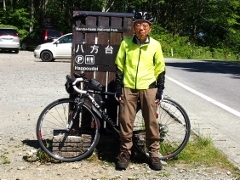 Today, I left Takinohara Onsen and pedaled towards Yunohana Onsen. 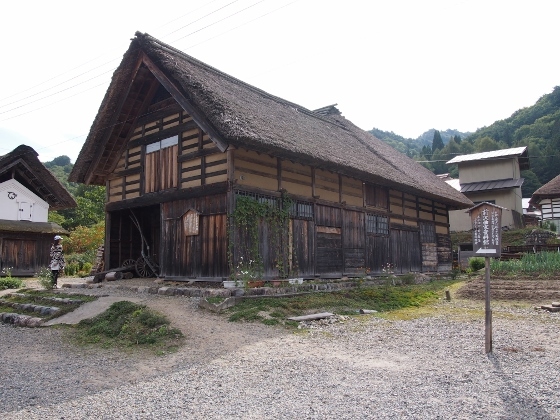 I also stopped at Maezawa Community of L-shaped thatched houses called "Magariya". The route was Route 352. 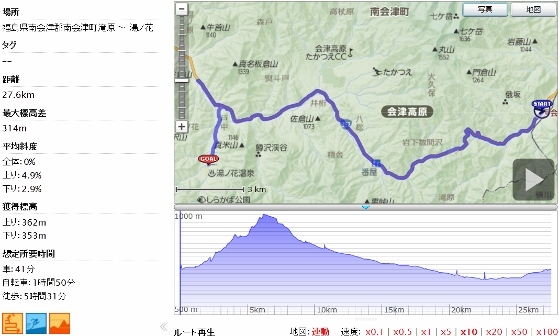 After the departure, it was a hard 6km long hill climb passing Nakayama Pass. After passing the Pass, there was a long downhill as shown in the picture above, and there appeared a sign of Banya Road Station. 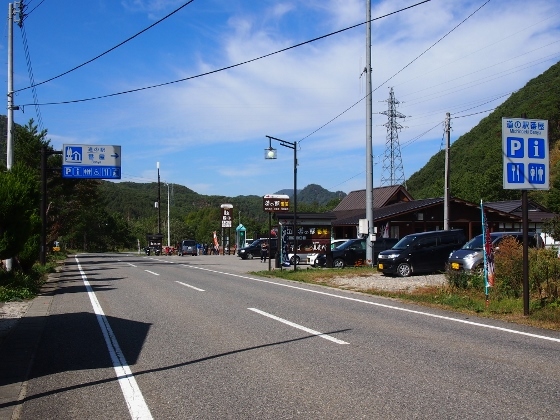 There used to be a shop from before, however, it has been renewed about three years ago to a fine Road Station authorized by the Ministry of Land, Infrastructure, Transport and Tourism. 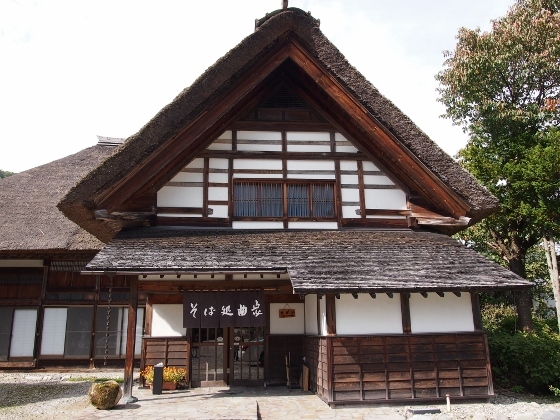 They offer many foods and products of this area such as soba related foods. 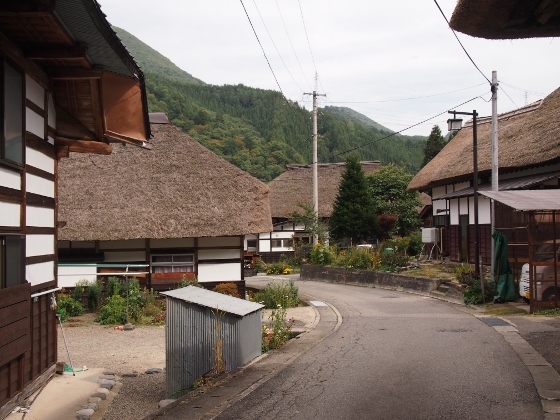 Next, I visited Maezawa Community of L-shaped thatched houses called "Magariya" as shown in the first picture above. This community existed from before, however, last year it was designated as National Important Preservation District of Historic Buildings. Magariya was an L-shaped personal house in which family and horses lived together about 400 years ago. Today, of course they do not live together, but the community of L-shaped thatched houses continued to exist and people still live there. 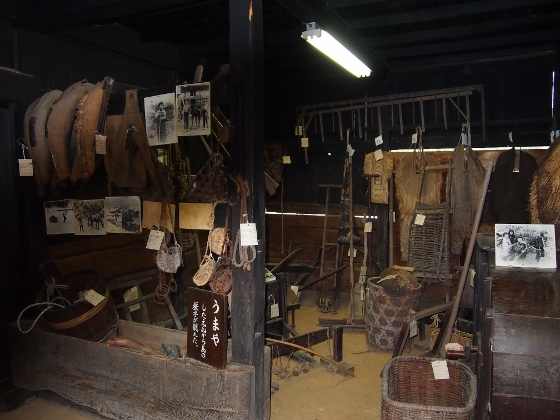 There also existed related small museum as shown in the second picture, and inside they displayed the living at that time. For example, the third picture shows a room for horses called "umaya". The last picture shows soba restaurant which was also housed in Magariya, and they served fresh from the field very nice soba in this season. Today I stayed at Suehiro Inn as shown above. 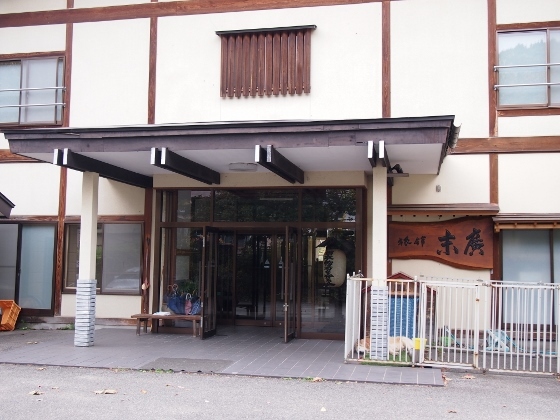 This inn was a member of the Japan Association of Secluded Hot Spring Inns. There used to be a good medical hot spring here flowing out naturally. They used this hot spring pouring into the bath as it was with no heating or additional water.